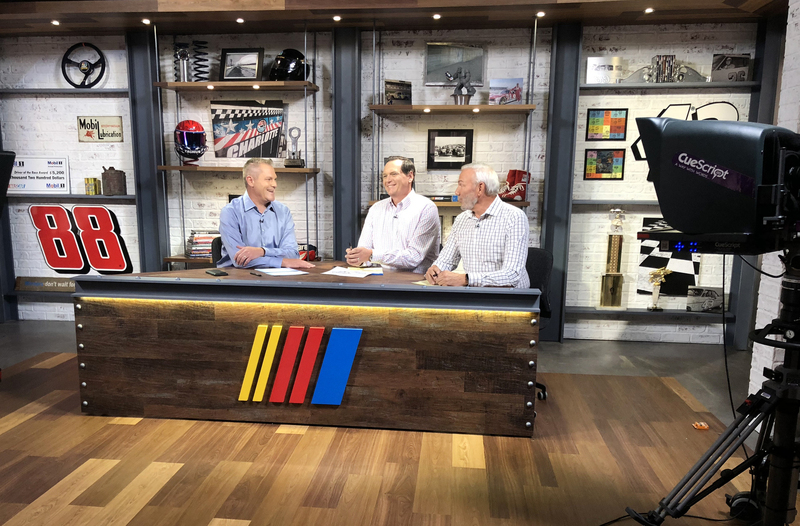 The daily program, which airs on NBCSN as part of NBC’s broadcast NASCAR programming package, broadcasts from both Charlotte and NBC Sports’ headquarters in Stamford, Connecticut. Using an at-home production model, the show uses a control room in Stamford while the Charlotte studio is co-located at Marty Snider & Associates production facility. The new studio design opens up the space to provide a nearly 360-degree canvas for production, while the previous design took viewers trackside to a race through the user of a faux racecar hauler. 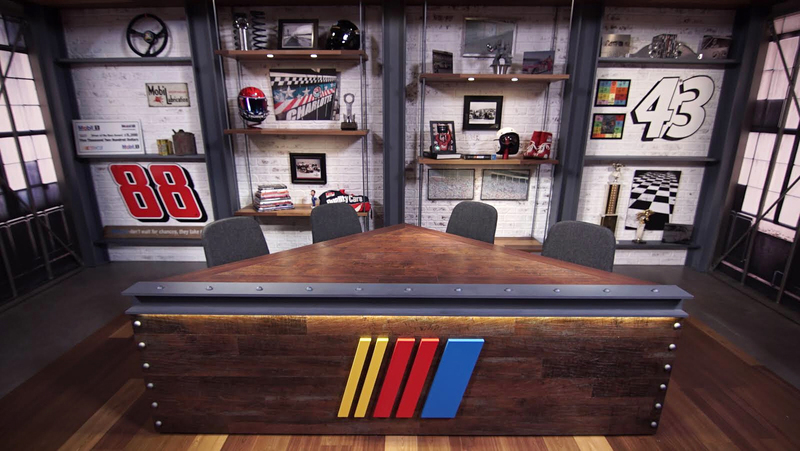 “NASCAR America” Studio in Charlotte. Photos courtesy of NBC Sports. From Jack Morton Worldwide and the team at NBC Sports, the design works to balance versatility with history. 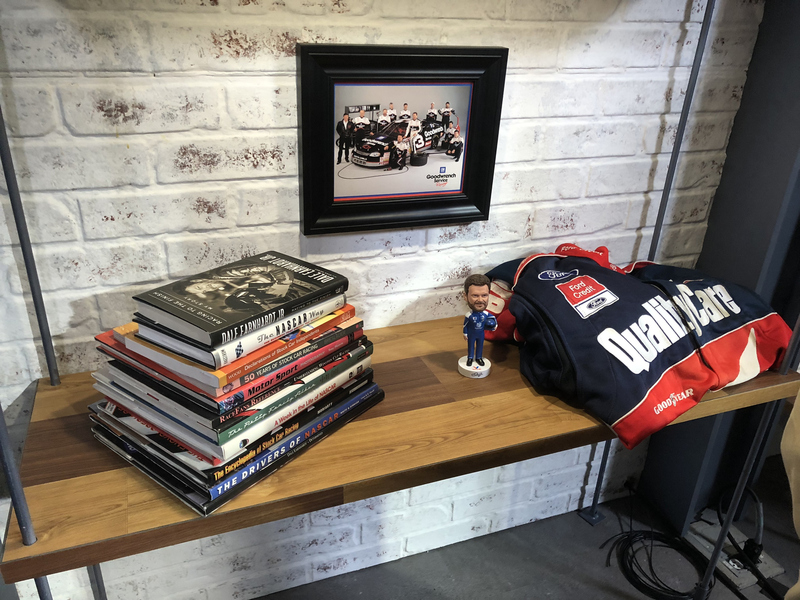 Examples of props in the “NASCAR America” studio. 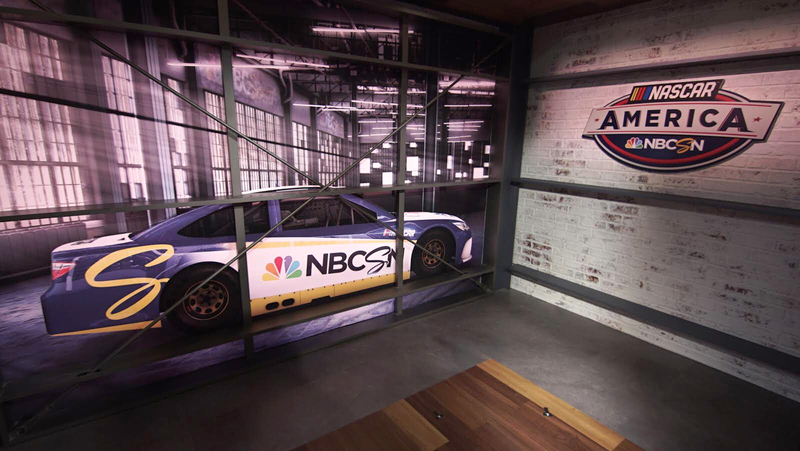 Backed by floating shelves and rough painted brick, the studio’s props include references to the former drivers on the NBC broadcast team including Dale Earnhardt Jr., Jeff Burton and Dale Jarrett. Beyond these, the studio includes other subtle nods to racing, such as a checkered flag inspired industrial window design. Steel beams “support” the space and top the desk along with the color bars from NASCAR’s logo. 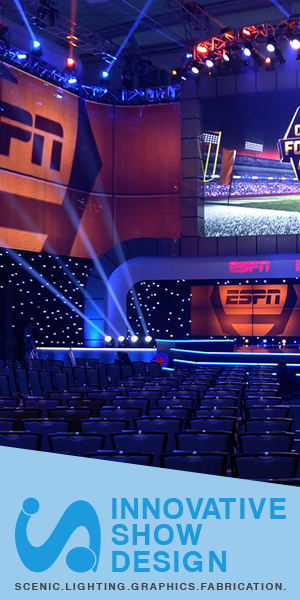 For flexibility, the oak desk is on wheels while the set is lit for a variety of stand up locations. “It just has a bigger feel but it’s the same room (as before),” adds Popple. Along with this studio, NBC Sports also has a small live shot location at Burton’s Garage in Huntersville.